Gov. Kate Brown beat back a challenge from Rep. Knute Buehler (R-Bend) in the General Election. Incumbents are also returning to their seats in the U.S. House of Representatives, including District 2 Rep. Greg Walden (R-Hood River), the state’s only GOP representative to Congress. In Umatilla County, incumbent Commissioner George Murdock, who chairs the Board of Commissioners, has a 500 vote lead with about a third of the ballots yet to be counted over challenger Rick Pullen. Jon Shafer, who won the popular vote in the May primary for the No. 2 position on the board over incumbent Commissioner Larry Givens, handily won the November vote against a write-in campaign launched against Givens supporters. The Umatilla County Second Amendment Preservation Ordinance passes with almost 65 percent of the vote. That measure would declare void any law or regulation that would violate the constitutional right to bear arms as void. It prohibits the use of county funds to enforce any such laws, and would make the Umatilla County Sheriff the arbiter to determine whether any law or regulation regarding the right to bear arms is in violation of the U.S. Constitution or the Oregon Constitution. Violations of the ordinance are punishable by a maximum fine of $2,000 for individuals or $4,000 for corporations. Statewide results on ballot measures show that voters turned all but one down. Measure 105, which would have effectively repealed Oregon’s status as a sanctuary state, goes down with almost 63 percent of the voters saying no. Measure 106, which would have barred the use of public funds for abortions, was also defeated by about the same margin. Measure 104, which would require a super majority to pass legislation that would allow the state to raise revenues is going down with almost 66 percent of the voters turning thumbs down. Voters also defeated Measure 103, which would have barred taxing of groceries. The only measure to win voter approval, Measure 102, allows local bonds for financing affordable housing with nongovernmental agencies. 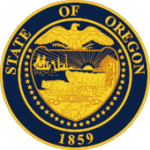 In the Oregon Senate, Republican Cliff Bentz won his first election after being chosen to fill the seat vacated by Ted Ferrioli when he retired. Sen. Bill Hansell (R-Athena) was not up for reelection. State Rep. Greg Smith (R-Heppner) was unopposed. State Rep. Greg Barreto (R-Cove) easily defeated a challenge by Independent challenger Skye Farnam.